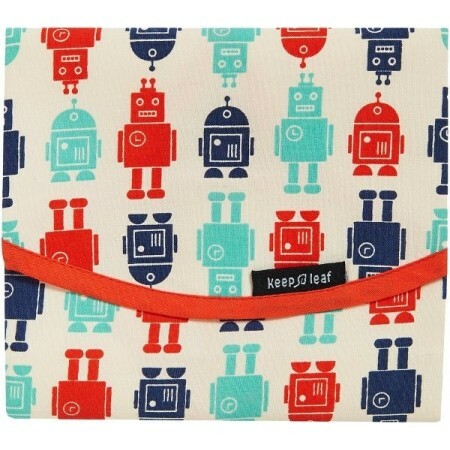 Keep Leaf reusable cotton sandwich wrap that doubles as a placemat and is a great alternative to using disposable plastic wrap. Velcro closure with a food safe liner that keeps your food fresh. Free from BPA, lead and phthalates. 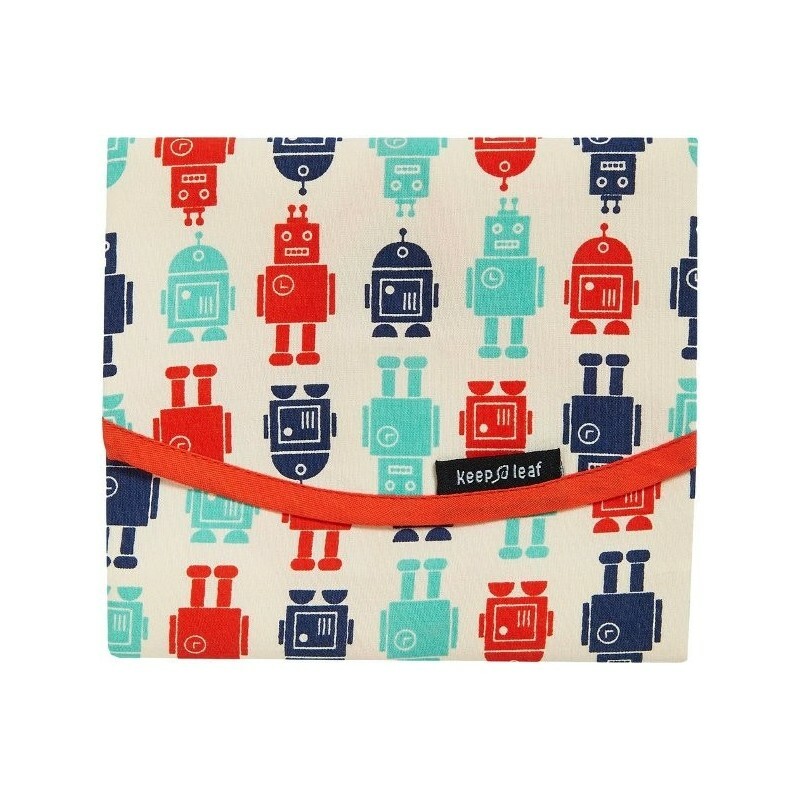 Blue and orange robots pattern.